Many programs and resources are available in New York State for those wishing to start or grow their business. But fully understanding how to access those incentives can be a daunting task. That’s why Locate Finger Lakes is providing a comprehensive explanation of virtually all the economic development programs in New York State. 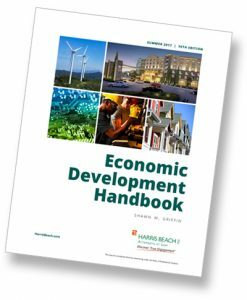 The Economic Development Handbook, developed by attorneys at Harris Beach law firm, catalogs and explains the variety of incentives available, and the various government agencies who administer them. Locate Finger Lakes also provides you with the map, location and website link to the county and city economic development offices serving the Finger Lakes region.